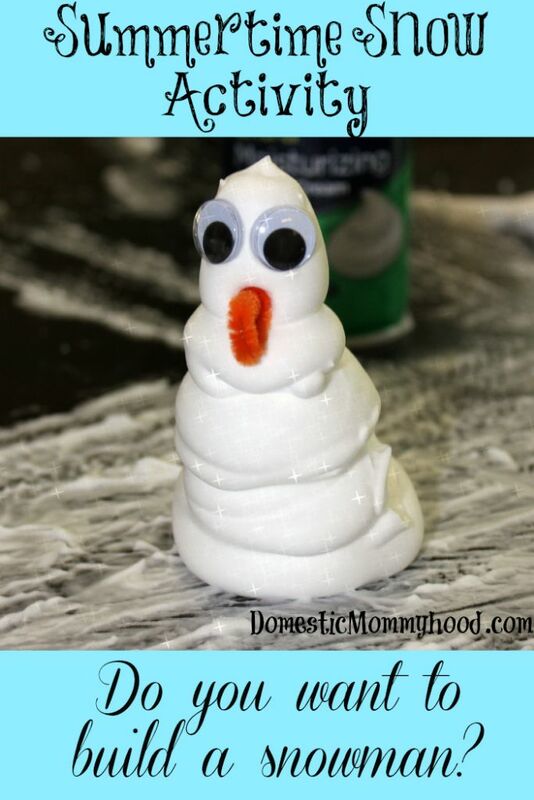 Let you child build the snowman by squirting it out of the can. They may require some help but go ahead and let them try themselves. Give them the pipe cleaner and googly eyes and let them go to town. We did end up using pretzels for arms by the time we got down. 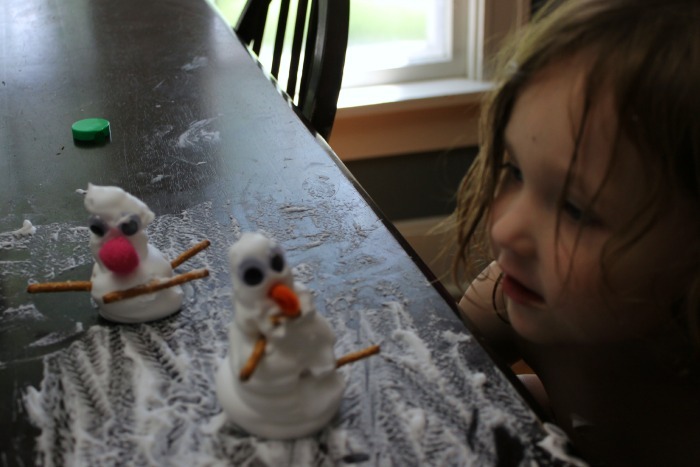 Before we were done the summertime snowman looks more like a squashed bug and I’m pretty sure my daughter was wearing more shaving cream than we had on the table but we were inside and cool and having a lot of fun! She had to make a mommy for Olaf and she HAD to have a pink nose! 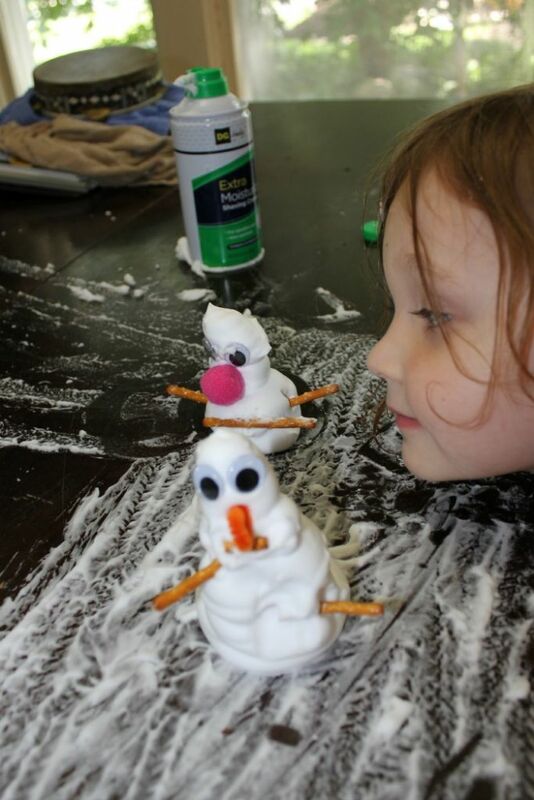 We had a great time with the summertime snowman and it’s really affordable to put together! Send me some pics of your snowman and I will add them to the post! !